Apartment No 1, Manse Road is a bright and spacious 2 bedroom first floor apartment in the heart of Kirkwall, with views of St Magnus Cathedral, Wideford Hill and Highland Park Distillery. Apartment No 1 is ideally located in the centre of Kirkwall but still in a quiet residential area. A stroll through the historic streets takes you to St Magnus Cathedral, Earls and Bishops Palaces, local craft and retail shops, cafes, restaurants, museums as well as the travel centre with bus links to the Heart of Neolithic Orkney, the Italian Chapel, the charming town of Stromness and picturesque village St Margaret's Hope. A further walk will take you to Kirkwall Pier with ferries to the North Isles. The Churchill Barriers are only 15 minute drive away and these will lead you to the Orkney Fossil and Vintage Centre in Burray and the Tomb of the Eagles in South Ronaldsay with several delightful beaches along the way. 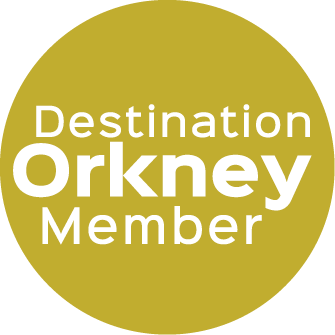 Our fully equipped kitchen/dining room offers space to prepare and sample some of Orkney's delicious produce. There are fantastic local shops 2 minutes away, which can supply you with local milk, breads, cheese, meat and fish. A light and bright spacious living room is the perfect place to unwind after a day’s exploring, where you can enjoy some local music, freeview TV and free unlimited WIFI. There are local/general books and DVD’s available for guests during their stay, and some board games. There is a king size bedroom and a twin bedroom, both generous rooms with fitted wardrobes. The shower room/toilet has complimentary soaps and shower gels. There is a garden where on lovely summer evenings guests can sit out in the sunshine and enjoy a glass of local wine, whisky, gin, rum or beer – after all you are on holiday!